Welcome to the Upper Dauphin Area School District, home of the Trojans! At UDA, we strive to provide a challenging environment where students can enjoy learning. All members of the whole school community recognize the value of hard work and take pride in putting forth their best efforts each and every day. These values are reflective of those held by the people of our rural, agricultural community. The mission of our district is to empower our students to be lifelong learners in order to reach their greatest potential. As part of this quest we offer our students a wide range of educational and extracurricular activities designed to prepare them for future employment, further education, and active citizenship. UDA’s dedicated and enthusiastic staff, in partnership with parents and community and business groups, is committed to the belief that “students are our purpose.” Enjoy your tour through our web site. We hope that the information found on its pages will be helpful to you in learning more about our schools. We also hope it conveys our commitment to educational excellence as well as our sense of Trojan pride! Superintendent of Schools, Evan P. Williams, is a graduate of Bangor Area High School, earned his baccalaureate degree at Lafayette College, his Master’s degree from East Stroudsburg University, his secondary and K-12 principal’s certificates from the Pennsylvania State University, and his Superintendent’s Letter of Eligibility from Bucknell University. Mr. Williams came to Upper Dauphin Area in 1986; he taught Ninth Grade English at the high school. In 88-89 following Mr. Robert Hassinger’s resignation, Mr. Hassinger took an assistant principal’s position at Tri-Valley, Mr. Dermot Garrett, High School Principal, offered Mr. Williams the Twelfth Grade English position and the chairmanship of the English Department. Mr. Williams continued in that dual capacity until he joined the administration as Curriculum Coordinator in 2002. In 2003, Mr. Williams was reassigned to the position of High School/Middle School Principal and held that position until 2006, when he because the Elementary School Principal. 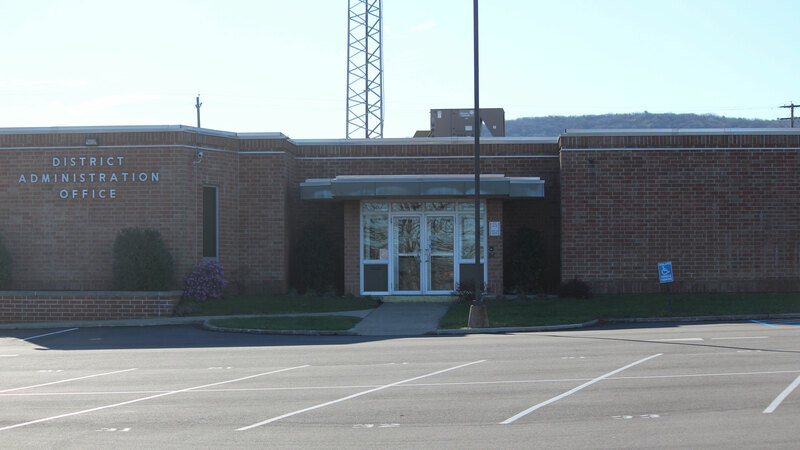 In February of 2009, Mr. Williams left Upper Dauphin Area to accept the commission as Assistant Superintendent of the Waynesboro Area School District. Subsequently, in 2013, Mr. Williams returned to Upper Dauphin Area, first as the Middle School Principal, and then as Superintendent. Throughout his career at Upper Dauphin Area, Mr. Williams has been involved in coaching athletics, supervising clubs, and was also President of the Upper Dauphin Area Baseball Boosters. He is married to the former Susan Wambsgans, who taught third grade and second grade at the Broad Street Elementary School and at the consolidated Upper Dauphin Area Elementary School and was the District’s first Instructional Support Teacher, English as a Second Language Teacher, and Literacy Coach. The couple has two sons, Charles and John. According to the law, the Superintendent shall be evaluated based upon objective performance standards. The Superintendent’s Goals published herein represent those standards. In addition to School Board policies, the Upper Dauphin Area School District (UDASD) has developed Administrative Regulations which are used to guide the daily operations of the UDASD. The Administrative Regulations will be added to the web page within the 2018-19 school-year.